This is the final game of the Euroleague for Galatasaray this season and it will be the seventh time that they have faced Barcelona. The Turkish side are yet to defeat their Catalan opponents, so tonight at least offers the chance to right this wrong. The home side have lost ten games in a row but their performances have been much improved of late and this is something that the club will be looking to build on as their European adventure draws to a close. Barcelona have won seven games in a row and they know that there is something at stake. If there is an away win in this game, all the pressure is heaped on Real Madrid who play later on Friday evening. If Barca win and Real Madrid lose, the Catalan club will steal first place in the group, which is something that everyone at Barcelona will be delighted to see happen. 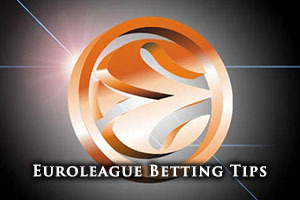 The home team have a 6-17 record in the Euroleague this season. Their 4-6 record was enough to get them out of the regular season and into the Top 16 but their form has been poor at this stage and they hold a 2-11 record here. For Barcelona, their 19-4 record stands testimony to their skills and attributes. They achieved a 9-1 record in the regular season and they have a 10-3 record in the Top 16, which they will be looking to add to by the close of this week. 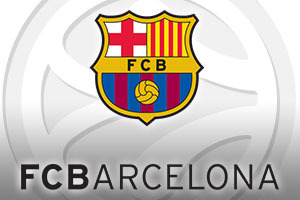 With respect to average points scored, the Catalan club leads with 83.6 to 76.6. Zoran Erceg has been a key player for the Turkish side this campaign, providing an average of 15.3 points per game, a tally he will be hoping to add to in this game. Patric Young has also been a big player for the home team, offering up an average of 6.7 rebounds per game. Another player that Galatasaray will be looking to get involved as often as they can will be Carlos Arroyo. For Barcelona, Ante Tomic has been integral to their success this season. He has offered up an average of 11.3 points per game and an average of 7.3 rebounds per game. This level of consistency has been at the heart of the Catalan club’s triumphs this campaign. Marcelino Huertas has also been in decent form for the away team and he has contributed an average of 4.5 assists per game this season. Galatasaray are currently in fifth place in the Turkish league, sitting with a 13-12 record. The most recent domestic game that Galatasaray played was an 80-93 home loss to Trabzonspor. In Spain, Barcelona are currently sitting in third place with an 18-9 record. Their most recent domestic game was a 64-76 win against UCAM Murcia. The bookmakers think that the Catalan club are on track to win this game and taking Barcelona with a -11.5 handicap, at odds of 1.90, is likely to be a decent bet for Friday evening. If you have an interest in the Over/Under market, you should be looking at going OVER 158.5, at odds of 1.90. Bet Now!